This report exposes how “policy capture”, where public decisions over policies are consistently or repeatedly directed away from the public interest towards a specific interest, can exacerbate inequalities and undermine democratic values, economic growth and trust in government. 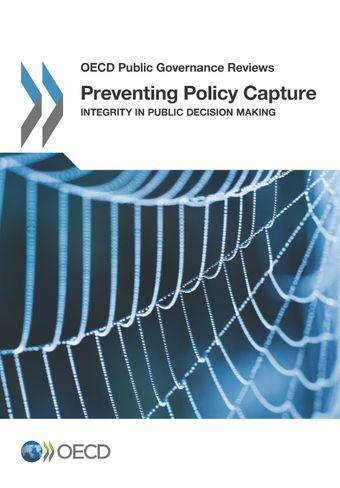 It maps out the different mechanisms and risks of policy capture, and provides guidance for policy makers on how to mitigate these risks through four complementary strategies: engaging stakeholders with diverging interests; ensuring transparency and access to information; promoting accountability; and identifying and mitigating the risk of capture through organisational integrity policies. How does policy capture happen?